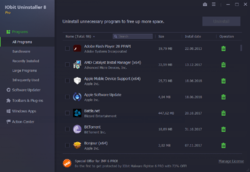 iOBit Uninstaller Pro 7.3 was available as a giveaway on March 12, 2018! 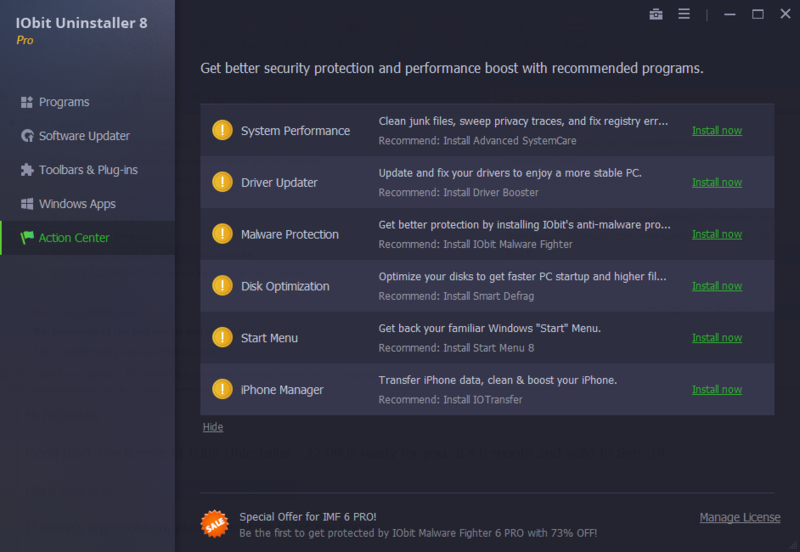 How would you improve iOBit Uninstaller Pro 7.3? to have ability to uninstall drivers . If you got an error "The license has been activated for the maximum PCs and cannot be used", please, contact the developer directly at iufeedback@iobit.com to get a license. Thanks for your reports, the download issue has been fixed. Giveaway of the Day, Trying to download, but the same problem yet. Best I have come across and I have used most of them. Saw the info for the uninstaller today,... evidently too late to download it for free. If you already have version 7.3 but you have not registered, you only need to download the zip and use the key from the readme.txt file. No need to run the installer if you already have the latest version. If you already have version 7.3 but you have not registered, you only need to download the zip and use the key from the readme.txt file. No need to run the installer if you already have the latest version. Iobit uninstaller works pretty well. I would like to see a log of what was uninstalled in order to know how complete it was. It would also be nice if it could uninstall from browsers. downloaded the file and started installation with no problem but the installation progress stopped at 11%. any suggestions? I already had IoBit Uninstaller 7.3 Pro installed but only 100 days left. Added the enclosed key and it went to 365. Thanks! The registration key provided is no good. It says it was activated too many times. Any per person limit for those with more than 1 PC? I have used IObit products in the past, they are okay, but due to the type of utilities they are, you have to be careful, i.e. driver booster and uninstalled. Unless you pay attention to what you are doing, there can be unexpected results. I would recommend this download if you do not have it. My issue these days are SaaS; I have grown way too weary of having to annually subscribe to applications, I would prefer to pay a lifetime license as every time I install a new application on a development station, I tend to get unpredictable results, I need my development workstation stable and not having to install "updates", "upgrades" just for a license renewal. In the beginning retail software was priced out of the consumer markets, then corps realizing they could obtain more "valid" vs "bootleg" customers if the software was priced accordingly. Now corps are starting with the pricing software out of consumer's reach again, thus starting the "bootleg" or "cracked" versions of their applications. I really feel "renting" software is not the best business model. These days, if I have the time, I code the application I need, myself versus renting IObit's software or 'MalwareBytes' etc. I am also noticing a lot more of bootleg software in the industry these days or OpenSource as an alternative to the utility that is needed. I myself have started several OpenSource projects for development utilities that I could purchase as SaaS but would prefer not, since I do not think I should have to pay an annual FEE for a software application. Again, some of IObit's applications are good, but the free versions of the application or OpenSource for local development is better than using SaaS of which you will get painted into a corner at some point in your development. Another concern these days, is if a development utility has been developed in Russia, after Kap, I will no longer use software developed in those regions, just not worth the risk. I am getting the "The license has been activated for the maximum PCs and cannot be used" message. 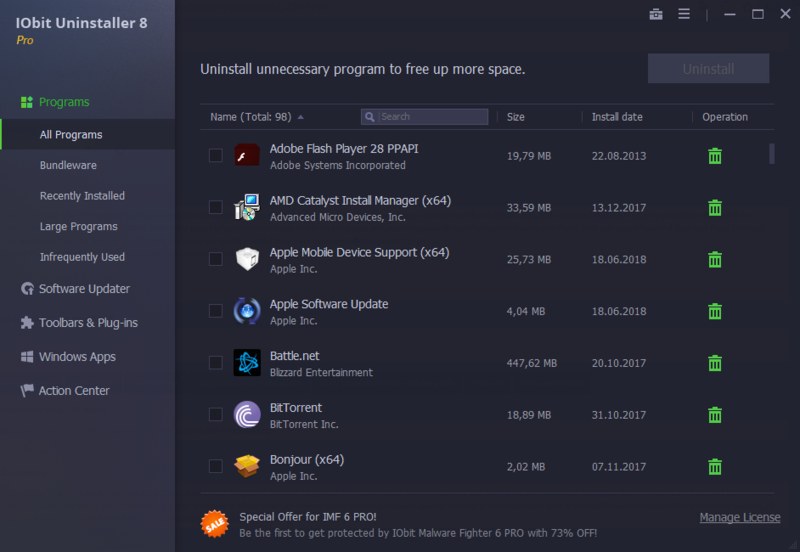 If/when you uninstall an app, iOBit Uninstaller Pro may help by removing more of the effects of that installation than that app's uninstall routine, but almost no software will get everything, every trace. The few exceptions are apps like McAfee's MCPR.exe, which is specifically designed & updated to remove everything added by installing their software. DDU [Display Driver Uninstaller] is another example, using detailed lists of what to remove. 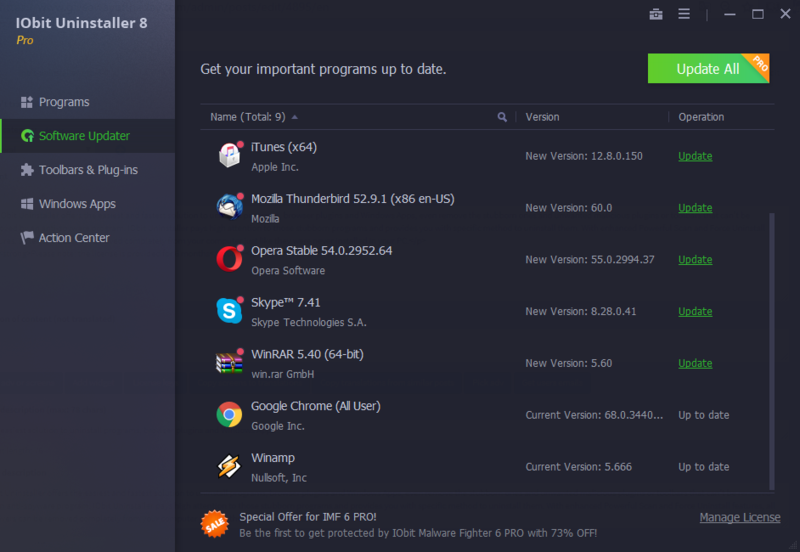 iObit advertises a new "Larger real-time database to uninstall more programs", so if it had a list of what to remove for the app you're uninstalling, it could give iOBit Uninstaller Pro an advantage. The obvious counter argument would be that it would be near impossible to list everything in their database. McAfee's MCPR knows just what to remove because McAfee is the one that added that stuff in the 1st place. DDU works based on just a few graphics driver setup apps -- you only have Nvidia, AMD, & Intel GPUs. There are several uninstaller apps that can record the changes made by a software installation, but where a recording app like Regshot has no problem telling you what happened, I've never seen a recording uninstaller that did not try to protect you from yourself, only showing some of what went on, the safer stuff that has little chance of breaking Windows if you [or the app] removed them. Deciding what should be removed can be quite difficult, and some things [e.g. what's added to .NET by a .NET app] can't really be removed. That's why I suggest above using recording more as a preventative measure. However it is fairly painless to use Regshot to record registry changes when you install an app, then save those logs... if you later decide to remove the app, using the app's uninstaller or something like iOBit Uninstaller Pro, after backing up [or at least creating a restore point] you can use those logs to double check in Regedit if you want to. If/when you uninstall an app, iOBit Uninstaller Pro may help by removing more of the effects of that installation than that app's uninstall routine, but almost no software will get everything, every trace. The few exceptions are apps like McAfee's MCPR.exe, which is specifically designed & updated to remove everything added by installing their software. DDU [Display Driver Uninstaller] is another example, using detailed lists of what to remove. iObit advertises a new <i>"Larger real-time database to uninstall more programs"</i>, so if it had a list of what to remove for the app you're uninstalling, it could give iOBit Uninstaller Pro an advantage. The obvious counter argument would be that it would be near impossible to list everything in their database. McAfee's MCPR knows just what to remove because McAfee is the one that added that stuff in the 1st place. DDU works based on just a few graphics driver setup apps -- you only have Nvidia, AMD, & Intel GPUs. That said, if you don't remove everything when you do a software uninstall, that's most often not a huge deal -- it's more the cumulative effect of installing lots & lots of software that can eventually matter. You can monitor the changes made, e.g. comparing before & after snapshots, which may be most effective if you use the technique deciding whether to install an app, or if you should look for alternatives with less of an impact on Windows. That usually means using something like Timefreeze or ShadowDefender to prevent permanent changes to your copy of Windows, or using a VM that can be easily restored. I use an old app called InstallWatch Pro, but you can also use Regshot or even Cameyo, which some [several?] GOTD regulars use to convert apps to portable -- Cameyo records everything an installation does, & it's the recording part that might tell you what changed. <i>[I haven't used Cameyo in quite a long time, so I could be wrong.] </i> sourceforge[. ]net/projects/regshot/ cameyo[. ]com/cameyo-offline/ There are several uninstaller apps that can record the changes made by a software installation, but where a recording app like Regshot has no problem telling you what happened, I've never seen a recording uninstaller that did not try to protect you from yourself, only showing some of what went on, the safer stuff that has little chance of breaking Windows if you [or the app] removed them. Deciding what should be removed can be quite difficult, and some things [e.g. what's added to .NET by a .NET app] can't really be removed. That's why I suggest above using recording more as a preventative measure. However it is fairly painless to use Regshot to record registry changes when you install an app, then save those logs... if you later decide to remove the app, using the app's uninstaller or something like iOBit Uninstaller Pro, after backing up [or at least creating a restore point] you can use those logs to double check in Regedit if you want to. Having similar issue "The license has been activated for the maximum PCs and cannot be used" it sends me to some "Christmas & New Year Special" page and ask $16.77 I know you guys are better then this. Cannot register. "The license has been activated for the maximum PCs and cannot be used"
1) Close iOBit Uninstaller Pro 7.3 (I had it open just to check on the license status). 2) I did NOT uninstall it. 3) Ran the installer from GAOTD. 4) The installer launched my current version of the app. 5) I opened the readme.txt file that came with the GAOTD installer and copied the new registration key. 6) In the iOBit app, I clicked on "Manage License" in the bottom right of the interface. 7) In the License Manager window, I clicked "Refresh" next to the license code. 8) In the field that displayed my current license, I pasted the new one from the GAOTD readme. 9) Lastly, I clicked the "Register Now" button and received a success message. 10) To double-check, I closed the License Manager window, clicked "Manage License" again in the main app window, and it now shows that I have 365 days remaining. Good luck, and thank you GAOTD!! I hope that this helps anyone who is having difficulty re-registering the new 1-yr. license. I already had iOBit Uninstaller Pro 7.3 installed, but there were only 51 days left on my license. 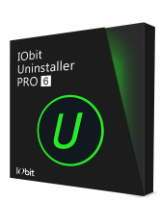 Here are the steps I took to take advantage of this great offer: 1) Close iOBit Uninstaller Pro 7.3 (I had it open just to check on the license status). 2) I did NOT uninstall it. 3) Ran the installer from GAOTD. 4) The installer launched my current version of the app. 5) I opened the readme.txt file that came with the GAOTD installer and copied the new registration key. 6) In the iOBit app, I clicked on "Manage License" in the bottom right of the interface. 7) In the License Manager window, I clicked "Refresh" next to the license code. 8) In the field that displayed my current license, I pasted the new one from the GAOTD readme. 9) Lastly, I clicked the "Register Now" button and received a success message. 10) To double-check, I closed the License Manager window, clicked "Manage License" again in the main app window, and it now shows that I have 365 days remaining. Good luck, and thank you GAOTD!! I could not open the file. I noticed it also updates to newest version, that being said, mine is already 7.3 Pro so I went to manage license, Refresh, installed new code, and "Bob's yer Uncle" for another year. I already have iOBit uninstaller on computer and use it almost everytime I uninstall a program..it not only uninstalls said program but digs deep removing any and all files associated with it. (unless you instruct it not to when it asks) I noticed it also updates to newest version, that being said, mine is already 7.3 Pro so I went to manage license, Refresh, installed new code, and "Bob's yer Uncle" for another year. Thanks iOBit and GOTD! This appears to be a trial version disguised as a free giveaway. Jerry Chance, when one does exactly as you recommend, one sees text reading: "License good for 365 days - expires 03-12-2019" . One might then conclude that this is, indeed, a trial version. C. Nile D'Mencha, A years registration (subscription) would not make a reasonable person conclude that it is a trial version. More likely it would have them conclude that it is the full version for a year. I'm unable to install the program, is this a bait and switch deal? I've been using Uninstall Pro 6.4 for a year and I'm very happy with it's performance. I just downloaded and ran the latest setup file and without any obvious installation notice the program immediately started up as Uninstall Pro 6.4. Going to the "About" screen it show the program as Uninstaller 6, Version 7.3.0.13. It never asked for the registration key, so what am I actually running? I was hoping it would say Uninstall Pro 7.3 Pro when it starts up. I've been using Uninstall Pro 6.4 for a year and I'm very happy with it's performance. I just downloaded and ran the latest setup file and without any obvious installation notice the program immediately started up as Uninstall Pro 6.4. Going to the "About" screen it show the program as Uninstaller 6, Version 7.3.0.13. It never asked for the registration key, so what am I actually running? I was hoping it would say Uninstall Pro 7.3 Pro when it starts up. Click on "Manage License" in the lower right corner of any page. That tells you the expiration date and days left. Confused, Click on "Manage License" in the lower right corner of any page. That tells you the expiration date and days left. I wanted to add, you can "refresh" license there and make sure you have the current one for this version giveaway. Sorry, hit enter too soon... I wanted to add, you can "refresh" license there and make sure you have the current one for this version giveaway. jboy, I saw that earlier. I'm wondering if I have to uninstall the old version before it will let me install the new version? Confused, So when you right click opened the program, it says iObit Uninstaller 6.4 Pro at top left corner? That is odd..mine actually updated to 7.3 Pro before this giveaway. If that is the case, yes I would uninstall old version, then install new with new key in "manage license". If it does say Uninstaller 7.3 Pro, click "Manage license, Refresh", install the new key and click ok and see what happens. Confused, So when you right click opened the program, it says iObit Uninstaller 6.4 Pro at top left corner? That is odd..mine actually updated to 7.3 Pro before this giveaway. If that is the case, yes I would uninstall old version, then install new with new key in "manage license". If it does say Uninstaller 7.3 Pro, click "Manage license, Refresh", install the new key and click ok and see what happens. Confused, Not sure, I already had v7 from the September giveaway. You really should not have to uninstall but who knows. If it were me, before uninstalling I would go to the IObit(dot)com site, download the "IObit Uninstaller 7 Free" and see if that updates your version. Then you could just go in and update the license on that to the pro version. Just a thought. Confused, I reluctantly ran uninstaller to uninstall itself. Ran the setup file, entered the registration code and all all is well that ends well. Everything comes up as expected. Tks jboy for your suggestions. Confused, If you already have version 7.3 then you only need to enter the code. I deleted my current iOBit Uninstaller to update to the 7.3 version. Re-booted by Win10 64-bit PC and proceeded to install the newer 7.3 version. Everything appeared fine until I checked the "Manage License" button at the bottom right of the newly installed program. It still had the old expiration date of the previous version. I simply copied the new registration key and the license expiration date wat updated to one year. Just be sure, if you have a previous version of the iOBit Uninstaller installed you check your license to ensure it's been updated to reflect today's installation. This program is good - it finds hidden registry entries and a bundle of "rubbish" stuff installed by programs.....BUT it installs services that constantly call home and runs without user permissions - I think is collects user statistics. Every time I use it I have to disable the update services which can't be disabled from the program and block the "phone home" services through my firewall. Kyle, The only thing I notice is it tried updating automatically when it did the "phone home" as you call it..I can't remember what I did, but it now notifys me about updates (nice since most programs here have no updates). If I remember what it was I did, I will post it here. Kyle, you can disable its service and IObit Uninstall will still run. The service does some background monitoring and will offer to scan for leftovers when a program is uninstalled outside of IObit Uninstaller, but is not needed. That started happening to me a couple of months ago after I got a new laptop. Only on this GOTD site's download links, no other sites. The way I get around it is to turn on a VPN (I have Windscribe) and then the download works. Still not sure why it is happening, the team here really couldn't help me, but I am just glad to have this workaround. jboy, Amazing! I could not get the file to download either. Read your comment, fired up VPN and it worked like a charm. John, Glad it helped! I wish I could figure out why it is happening but meanwhile, it is nice to be able to get around it when there is a program on offer here that I would like. I've been using IOBit Uninstaller Pro beginning with the last time it was offered here. I test and uninstall lots of different software packages on my Win10 system and never had a problem with it. I monitor my system closely and have never found any hidden or secret things installed - unlike CCleaner which installed a really nasty anti-virus program that required a C: restore to get rid of. I checked my expiration date for Uninstaller Pro and it was later this year, so I downloaded this version to refresh it to a full year. When I ran the setup program it started my existing version of Uninstaller Pro, so I just replaced the registration key with the one in the Giveaway Readme file. After that I had an expiration in 2019. I am a little confused about the update process - the Giveaway file says there are no free updates, but my version did update itself to the latest version 7.3.0.13. I've been using IOBit Uninstaller Pro beginning with the last time it was offered here. I test and uninstall lots of different software packages on my Win10 system and never had a problem with it. I monitor my system closely and have never found any hidden or secret things installed - unlike CCleaner which installed a really nasty anti-virus program that required a C: restore to get rid of. I checked my expiration date for Uninstaller Pro and it was later this year, so I downloaded this version to refresh it to a full year. When I ran the setup program it started my existing version of Uninstaller Pro, so I just replaced the registration key with the one in the Giveaway Readme file. After that I had an expiration in 2019. I am a little confused about the update process - the Giveaway file says there are no free updates, but my version did update itself to the latest version 7.3.0.13. Birk, I believe they will update the software but not UPGRADE. You will continue to get all of the updates and patches for version 7.3.x, but once they release version 8.x you will need another license. Installed perfectly on Windows 7 Home Pro. I was able to cut and paste the registration number into the program. Excellent program, great giveaway. T/Y GOTD! I use Revo Uninstaller Pro does cost some money but no offence to this program has saved me when this failed. I agree. I've used many program uninstallers and I have to say that Revo Uninstaller Pro is the best one out there. Wipeout, I agree. 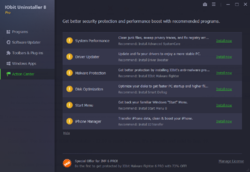 I've used many program uninstallers and I have to say that Revo Uninstaller Pro is the best one out there. Nothing even comes close. Never, never I'll install or use a program that is doing changes without asking me. Sorrrrrrry !!! Never, never I'll install or use a program that is doing changes without asking me. Thanks to GAOTD anyway! I already had a pro license with 211 days to run so decided to try extending my license with this code - went to manage license and then clicked refresh and entered the supplied key. It didn't add a full year on top of my license but did replaced my 211 day license with a 365 day one - so if you have a license already it can give ypu an extension. While this is a nice program, I use the free version of IOBIT Uninstaller on my Windows 10 Home 64 Bit laptop. It does a very nice job when removing programs and I have not yet had any issues with using it. So I do not see a need for the extra features of the Pro version at this time. How do I COMPLETELY uninstall the program after the trial year is up? Amy, just like any program you install, you can remove via Add/Remove Programs or Programs & Features in Control Panel. Also, there is a shortcut to uninstall it, added to the Start Menu. After the year is up, it will revert to the free version. So you will be able to continue to use it. The free version has less features, but does just a good a job as finding leftovers at the Pro version, so you may want to keep using it. Amy, just like any program you install, you can remove via Add/Remove Programs or Programs & Features in Control Panel. Also, there is a shortcut to uninstall it, added to the Start Menu. After the year is up, it will revert to the free version. So you will be able to continue to use it. The free version has less features, but does just a good a job as finding leftovers at the Pro version, so you may want to keep using it. ... 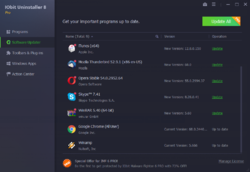 EXCEPT the paid version allows auto install of OTHER IObit programs, if you care.
. [ Amy ], There is no difference between the paid and free versions of IObit Uninstaller ... ... EXCEPT the paid version allows auto install of OTHER IObit programs, if you care. .
Peter Blaise, The Giveaway is long over. If you care. Actually, the IObit self-giveaway is perpetual in that the free version is the same as the 'pro' version, uninstaller wise, so you can always use and upgrade IObit Uninstaller forever, free.
. [ Amy ], Actually, the IObit self-giveaway is perpetual in that the free version is the same as the 'pro' version, uninstaller wise, so you can always use and upgrade IObit Uninstaller forever, free. Enjoy. .
Mario: Developer Marcin Czeniak, is a software engineer based in Poland. Marcin's Open Source offerings aren't as widely known as (I think) they deserve to be, so it's many thanks to you for flagging up the BCU link on here. I'd certainly use Marcin's freeware as a comparison against any commercialware uninstaller I might be considering acquiring. <b>Mario: </b>Developer Marcin Czeniak, is a software engineer based in Poland. Marcin's Open Source offerings aren't as widely known as (I think) they deserve to be, so it's many thanks to you for flagging up the BCU link on here. I'd certainly use Marcin's freeware as a comparison against any commercialware uninstaller I might be considering acquiring. Does he offer apply to the portable version also? I like this program but I am reluctant to do an install. I agree with Brandon about iObit. Their software likes to take over your computer settings, making changes and not bothering to tell you what has been changed. Only finding out after a change you didn't make. iObit also has bad habit of placing pieces of their other software on your computer in different little nooks and crannies. Asking yourself, why is that there? WiseCare and Glary Utilities have a great Freeware uninstaller, along with a force uninstaller in case you can't uninstall the normal way. Both clean out the registry leftovers too. Jim C, I agree with everything you've said, and would just like to add, this "giveaway" is only offering a one year licence for this uninstaller which IMHO is not even as good as the free version of Revo and some others...?! Min, Thanks for confirming my what I wrote. Maybe iObit will change their habits, but I doubt it. They've been this way for years! Thanks again. Jim C, looks like the moderator didn't like Brandon's comments as they appear to have been removed. However, what you say is right any developer that covertly changes your system is not to be trusted and avoided. Robert, Mmmm! your right! He was the first commenter and I was number 2. Jim C, at the moment IObit Uninstaller does a much better job at scanning for leftovers than Wise Program Uninstaller and Glary Uninstall Manager. IObit software will not make changes to your system without informing you first. Jim C, at the moment IObit Uninstaller does a much better job at scanning for leftovers than Wise Program Uninstaller and Glary Uninstall Manager. IObit software will not make changes to your system without informing you first. Min, it's a one year license. But, it is regularly available as a giveaway here and at other giveaways sites, so you will be able to get another one year product key before this license expires. In any case, the free non pro version which is what you will be left with, if the Pro license expires, does just a good a job of scanning for leftovers as the Pro version. Both the free and paid versions of Revo are very good. But, I prefer IObit as it has features that are lacking in Revo. But, both Revo and IObit do a very good job of scanning for leftovers and are very good products. Min, it's a one year license. But, it is regularly available as a giveaway here and at other giveaways sites, so you will be able to get another one year product key before this license expires. In any case, the free non pro version which is what you will be left with, if the Pro license expires, does just a good a job of scanning for leftovers as the Pro version. Both the free and paid versions of Revo are very good. But, I prefer IObit as it has features that are lacking in Revo. But, both Revo and IObit do a very good job of scanning for leftovers and are very good products. Min, older versions of their software, often came bundled with unwanted extras. However the current versions will actually ask you before installing anything else. The only way you will get any extra software installed is if you choose to install it when asked. I've installed iObit Uninstaller 7.2 from an older Giveaway and I would really like to know what system settings are affected by this software. Please deliver facts or anything else that backs your claim up. Go to their site and you can get V6 for free. But 7.3 is charged for. There is no give away at this stage only free facebook sharing to advertise Iobit software its stinks like a scam. Peter, you are wrong. All versions of IObit Uninstaller are free. Today's giveaway is for the paid Pro version which adds more features. Peter, I had the same issue myself. However, whenever there are issues with the downloads here, they are usually fixed in an hour or two. Based on past experiences here, the download issue will definitely be fixed before the giveaway ends and most likely, fairly soon. Peter, I clicked on the Download link again, after posting my last reply and it is working now. Hadrianus, the readme.txt file included in the zip file for today's giveaway, has the product key you need to enter to register IObit Uninstaller and activate the Pro version. Roger, Never or never will I install something that comes from IObit. First use the de-installation of a program. Maintenance center will then automatically perform maintenance if the PC has nothing to do. Then the leftovers of a deleted program will also have disappeared. Roger, Never or never will I install something that comes from IObit. First use the de-installation of a program. Maintenance center will then automatically perform maintenance if the PC has nothing to do. Then the leftovers of a deleted program will also have disappeared. Can you make a bit of clarification what you are saying? You say :"First use the de-installation of a program." Which program are you referring to? You also say :"Maintenance center will then automatically perform maintenance "
You further say :"Then the leftovers of a deleted program will also have disappeared." "Use the removal of a program first." Which program do you refer to? Every program that you have installed on your PC has an uninstall. "Maintenance center performs automatic maintenance"
Which maintenance center? Windows 8, 8.1 and 10 has a Maintenance Center. When Windows has nothing to do, start Maintenance. You say further: "Then the remains of a deleted program have also disappeared." How? I have no view on that. It is said that the remaining parts of deleted programs are no longer present afterwards. Empty folders with some parts will still be there. It must be removed manually. On my 2 Windows 8.1 PCs I have an Alternative Start button (Windows 10 icon) and bar. When Maintenance is in progress, a Clock appears in the bar at the bottom right of my white flag. My Desktop now has no more stupid tiles. My Desktop looks like it was with XP, Vista or Windows 7.
drvajra, "Use the removal of a program first." Which program do you refer to? Every program that you have installed on your PC has an uninstall. "Maintenance center performs automatic maintenance" Which maintenance center? Windows 8, 8.1 and 10 has a Maintenance Center. When Windows has nothing to do, start Maintenance. You say further: "Then the remains of a deleted program have also disappeared." How? I have no view on that. It is said that the remaining parts of deleted programs are no longer present afterwards. Empty folders with some parts will still be there. It must be removed manually. On my 2 Windows 8.1 PCs I have an Alternative Start button (Windows 10 icon) and bar. When Maintenance is in progress, a Clock appears in the bar at the bottom right of my white flag. My Desktop now has no more stupid tiles. My Desktop looks like it was with XP, Vista or Windows 7. THANK YOU so much - great info. "When Windows has nothing to do, start Maintenance." For this, do I have to manually initiate Maintenance or it will do on its own. I have Win 10. Hadrianus, THANK YOU so much - great info. "When Windows has nothing to do, start Maintenance." For this, do I have to manually initiate Maintenance or it will do on its own. I have Win 10. Regards.